Now me and Jordan don’t really do Valentines day, were not ones to buy a cute teddy with our faces on. That’s just not us and it never has been. The more and more I talk to people about Valentines day the more I realise people do actually celebrate it. Which if I’m honest really surprised me. The thing I did notice when talking to people was that they weren’t really buying the cute gifts that we may associate with Valentines day. It more things like a nice bubble bath to have a kid free bath. Or treats to eat that the kids are not allowed to know exists otherwise they will want to eat them .Or simply just buying each other something they actually want like a new top or a pair of shoes. 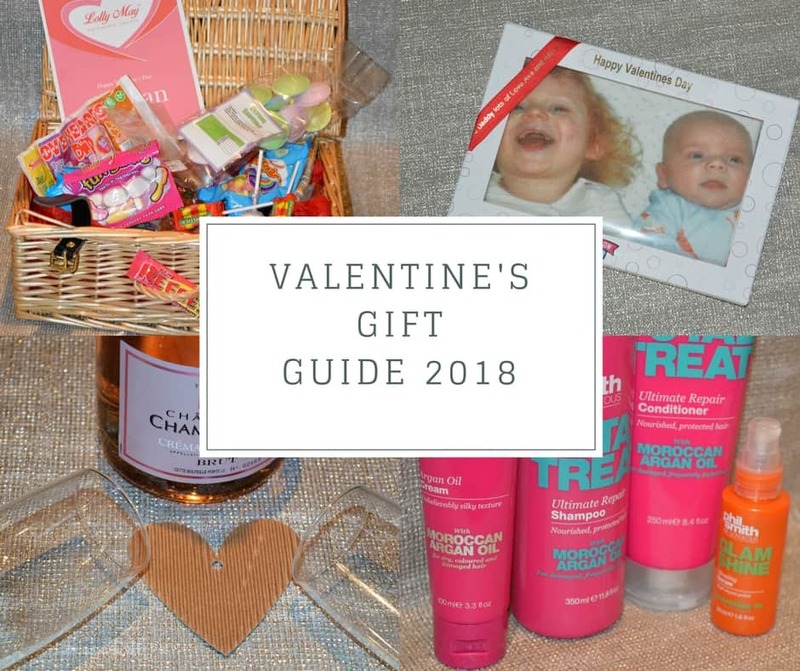 So I thought it would be nice to put together a little gift guide of things you could give your loved one this Valentines. That isn’t a teddy or a heart-shaped balloon. The way to most people’s heart i have found is good food and treats. 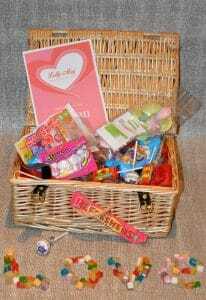 Well this Lolly May sweet hamper wont disappoint and it is actually a hamper!. I have found so many things say they are hampers and actually come in a rubbish cardboard box. Well not this Lolly May sweet hamper from gift pup. So not only do you get a hamper full of really tasty treats you get a lovely hamper to use afterwards. I always find them handy to store toys or craft bits in. The ‘Love’ Lolly may sweet hamper is filled with sweets including Jelly hearts,flying saucers, foam bananas and shrimps just to name a few. You can also add that personalised touch by including a message to your loved one on a card. Like the look of this then head over the gift pup website where you can see what other sweet hampers they have. Also they don’t just do sweet hampers so some of their other products may tickle your fancy. Keeping on the treats theme is the Mallow me personalised marshmallow. If you’re not one of those not so soppy people but still want a personalised gift. Well this is the gift for you. You simply go to the Mallow me website upload your picture and you have a tasty treat with a picture on. 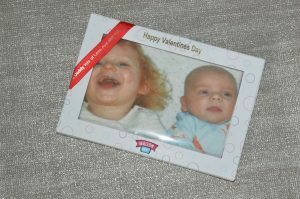 You can also pay a little more and personalise the box or the ribbon that goes around it. As you can see from the picture below is not a tiny marshmallow its a jumbo sized marshmallow that can be enjoyed for longer. All of five minutes in my house but so worth it ! You can personalise your marshmallow for £12.99 then pay a little extra for the personalised ribbon and box if you wish to. I have been very lucky to be given a promotion code to share with you all. 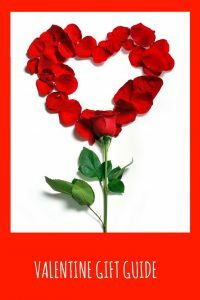 Which is VALENTINE50this will get you 50% off !! Now everyone loves a bit of bubbles especially if it doesn’t break the bank. Well this bottle of Chateau De Champteloup Crémant De Loire Rosé is only £7.99 but tastes so good ! I’m not the worlds biggest drinker if I’m honest but from time to time i do like a little tipple. This was a really nice treat to have and it tasted really great and is a fab alternative to champagne. 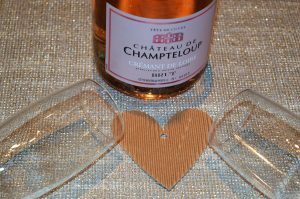 The Chateau De Champteloup Crémant De Loire Rosé is available in store and online from 4th February nationwide. Now buying for men at valentines can be really hard. I mean i wouldn’t go out and by Jordan flowers or chocolate. That just isn’t something he likes. So I would go down the non romantic gift line but something that he actually needed. Jordan is a lover of branded products and especially ones of high quality. 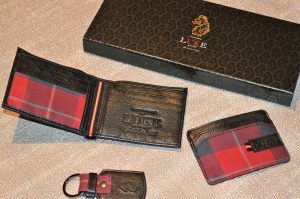 So this Luke wallet gift set from Mainline is perfect. It something he can use each and everyday and wont be put in a draw collecting dust. Jordan really liked the fact it had a matching card holder .As he said it would be perfect to use whilst at the gym. So that he doesn’t have to carry his bigger wallet around with him but still has somewhere safe to keep his money. The kids are in bed or you’re at the end of a long hard day. You want to have a bit of ‘me time’ well you need to get some 7th heaven products. Not only do they smell absolutely amazing they leave your skin feeling great. They literally have a face mask for anything from oily skin to black heads. So there will be something for everyone. Not your most expensive Valentines gift ever I know but isn’t a bit of ‘ me time’ priceless !. The picture below is the contents of their top to toe treats tin. With everything to make you feel amazing from head to toe. All of this comes in a handy tin which is great for storing away for another day. The Montagne Jeunesse 7th Heaven top to toe treats tin is £7.99 and is available from in store and online at Argos. You now have a full tummy of yummy treats your face is feeling great and now its time to care for your hair. I was saying to my friend the other day I cannot remember the last time I took more than 5 minutes in the shower. Or didn’t have one or both children watching me whilst I was doing it. So a shower alone where I didn’t have to watch the time would be amazing. 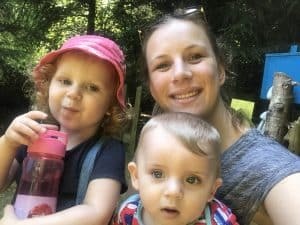 Before I had kids I would buy lovely shampoo and conditions with extra added goodness to care for my hair. But now I tend to buy cheap shampoo’s don’t condition and just scrape my hair on top of my head in a mum bun. So being sent this and actually using it and having great looking and feeling hair has made me feel so much more like the old me. So surely that’s reason enough to give this to a loved one for valentines. Maybe make your own hamper up with little treats like this in. I know I would really appreciate that and make sure your loved one has time to enjoy them. 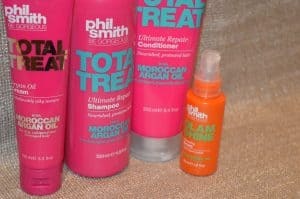 Pictured above is the Phil smith Total Treat shampoo and conditioner priced at £3.50 each, Glam shine glossing serum priced at £4.00 and the Total treat Argan oil cream priced at £4.00. All these products are exclusive to Sainsbury’s stores nationwide. Hopefully I have helped you think of some different presents you could buy. You can then go that little bit further and make some personalised gift wrap to wrap it all up in. 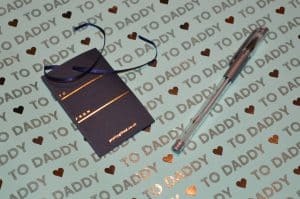 You can have what ever you want on it , with many different colour options and front styles the pretty gifted personalised gift wrap is beautiful.